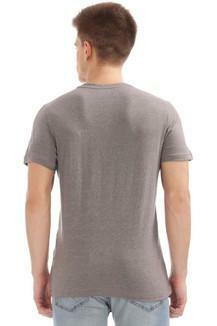 Take off to the zenith of fashion by wearing this T-Shirt presented to you by Arrow Sport. It flaunts a slub pattern that lends it a distinct look. 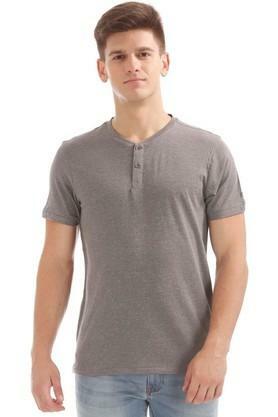 Besides, it has a short button placket at the front that makes it convenient to wear. Crafted from fine quality cotton, it is quite comfortable to wear. 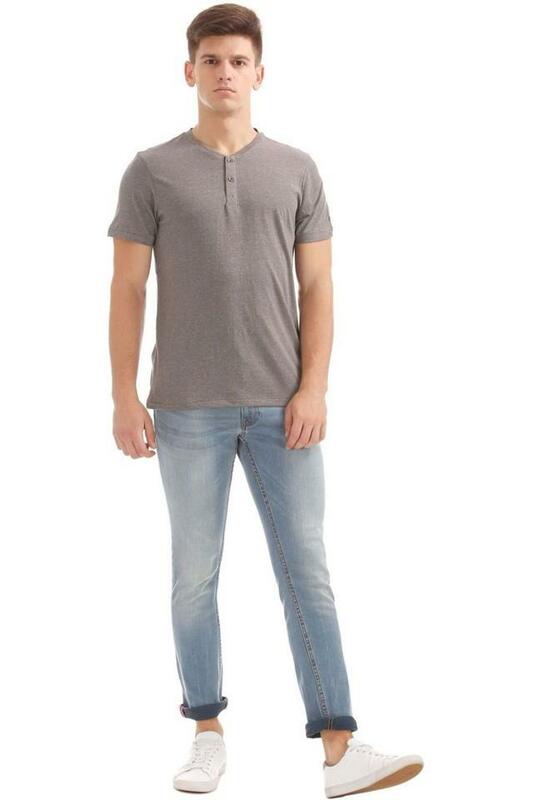 Head to any casual outing in style by teaming this T-Shirt with a pair of jeans and canvas shoes. Featuring a henley neck, it will lend you a distinct look.